An Agencourt SPRI paramagnetic bead-based plasmid purification system that uses a single protocol to purify a variety of high and low copy number template types. This flexible system is easily automated without sacrificing product quality. 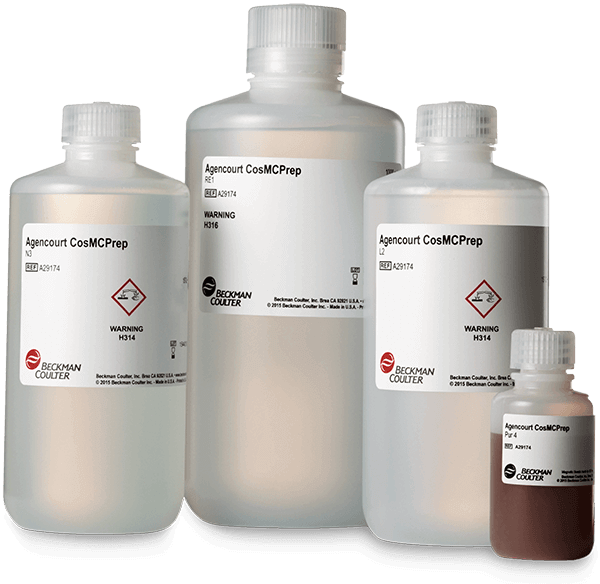 The single protocol, ease of automation and high quality results make Agencourt CosMCPrep an ideal solution for all your plasmid purification needs. Kit components: L2 buffer, N3 buffer, pur4 buffer and RE1 Buffer for 4,000 preps.